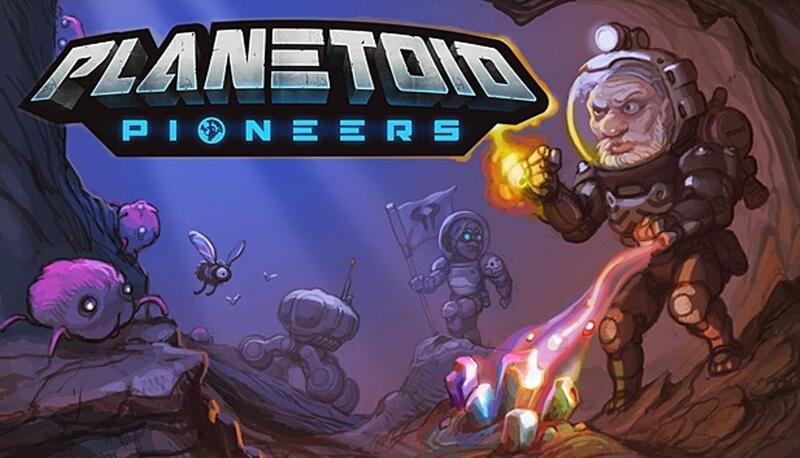 Planetoid Pioneers, a sci-fi Metroidvania-like where body-building geriatric astronauts explore the asteroid belt beyond Mars. The heavily physics-driven action-adventure is inspired by classics such as Blaster Master ('88), Metroid ('86), and Exile ('88). It can be played locally with or against your friends in seamless pick-up-and-play Co-Op and PvP action. Crush2D, its unique physics and game engine, encourages creativity by giving players the same commercial-grade tools used by Data Realms to build Planetoid Pioneers. Players can use its integrated live-editing tools to create their own weapons, vehicles, characters, and even their own worlds. User-generated content that is published onto the Steam Workshop, is then seamlessly and automatically incorporated into everyone's game.